Your favorite comfort foods are getting a serious update. New Year’s resolutions sound totally awesome on January 1st when you’ve had five glasses of sangria, but less awesome when March hits and you still have another 10 months to go. How are you supposed to keep your promise to choose healthy options when there’s a mouthwatering Domino’s pizza sitting on your table? Or a tub of vanilla ice cream in your freezer? It’s tempting to call it quits. Forget 2016. You’ll try again next year. Luckily, we have a solution. With this list of simple swaps for healthy foods, there’s an easy way to satisfy your cravings and develop healthier eating habits in 2016. You really can have your cake and eat it too (literally). Cookie lover? Self-proclaimed chocolate biscuit eating expert? 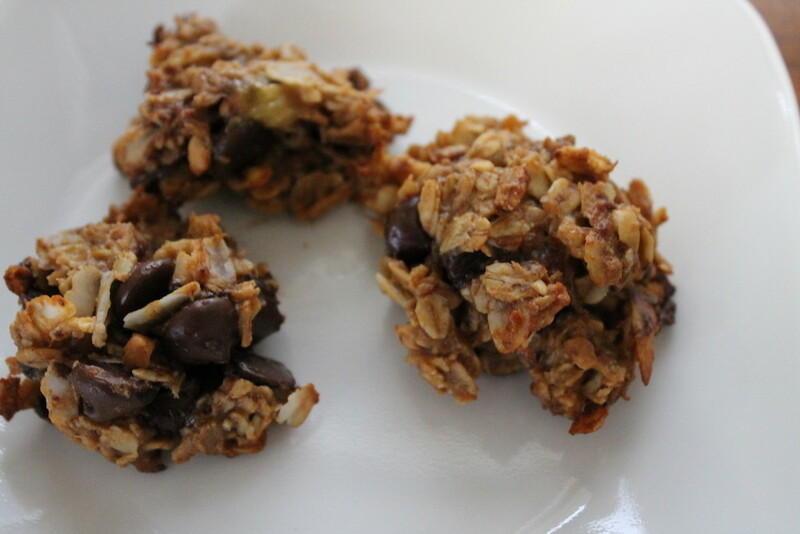 Check out this healthy version of the classic cookie made with oats and banana. You can even eat it for breakfast. Who said dessert can only be eaten after dinner? 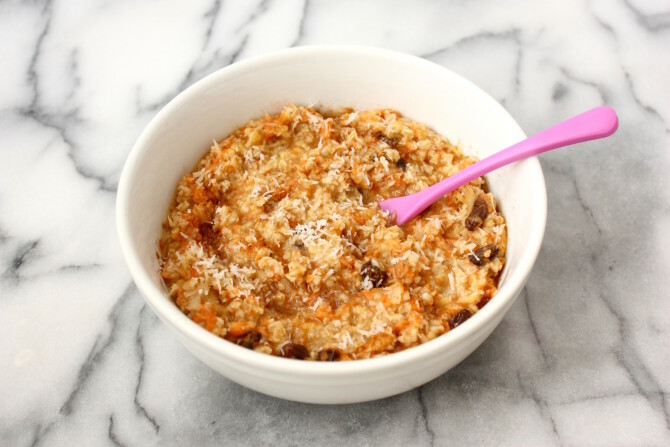 If you love carrot cake, take a look at this carrot cake oatmeal recipe. It has both fruits and vegetables and also tastes like a birthday party in a bowl. Delicious. Not a fan of carrot cake? This chocolate cheesecake oatmeal also tastes like a birthday dessert. Enjoy it for breakfast guilt-free. If you’re a total sucker for chocolate during the winter holidays, check out this Greek yogurt bark recipe. 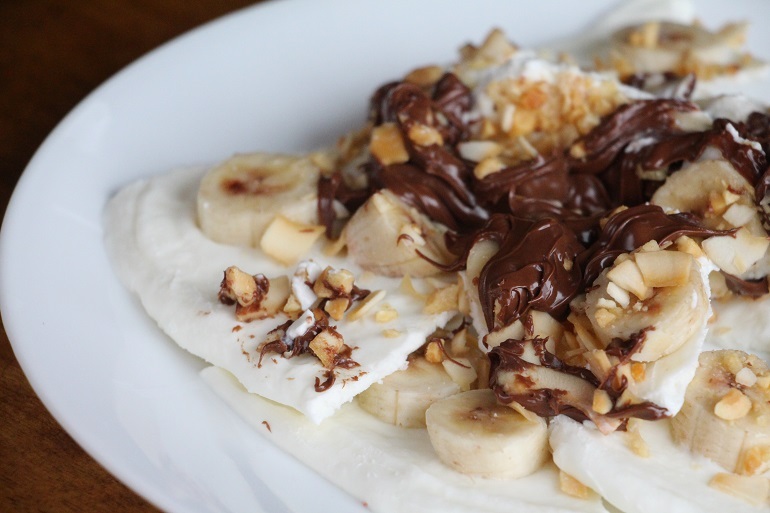 It involves Nutella, bananas, and honey. In other words, it’s the daily diet of a college student turned into a snack. Yummy. Chocolate lovers unite. 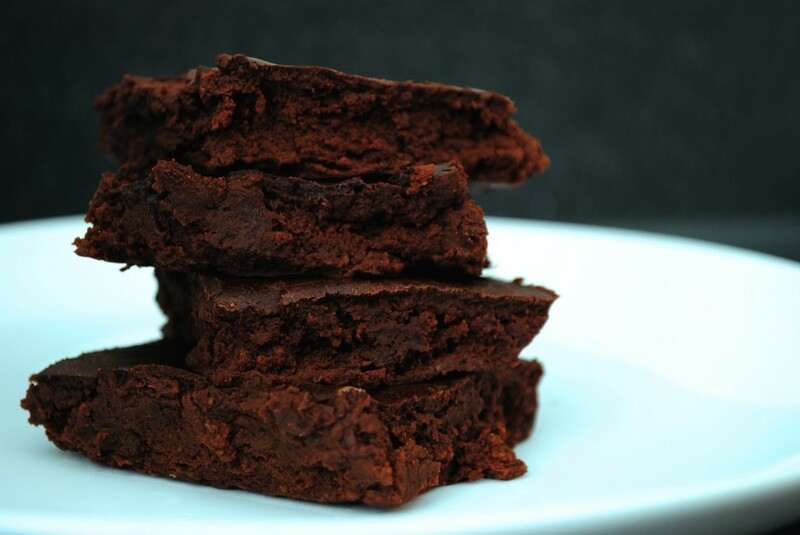 These fudge brownies are made with healthy ingredients such as skim milk and Greek yogurt, so you can treat yourself to several. Did we mention they only have 37 calories per serving? Dreams really do come true. Sunday morning breakfasts always taste best with a crepe filled with nutella, whipped cream, and strawberries. Unfortunately, the calories add up fast, which makes it hard to make crepes a weekly staple. 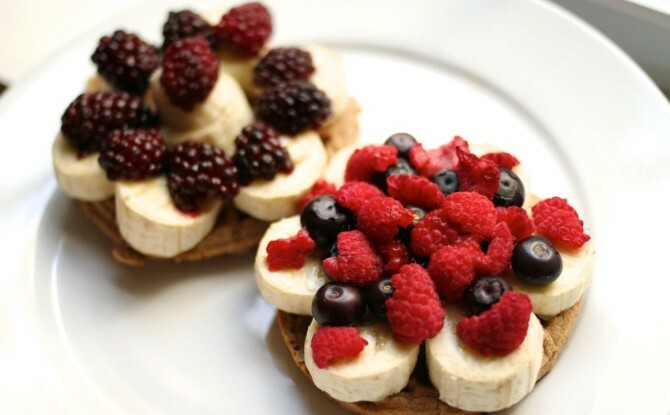 If you’re looking to switch it up, consider these whole grain waffles as a substitute. You won’t be sorry. There are some (most) weeks that I feel like eating pancakes for breakfast everyday. 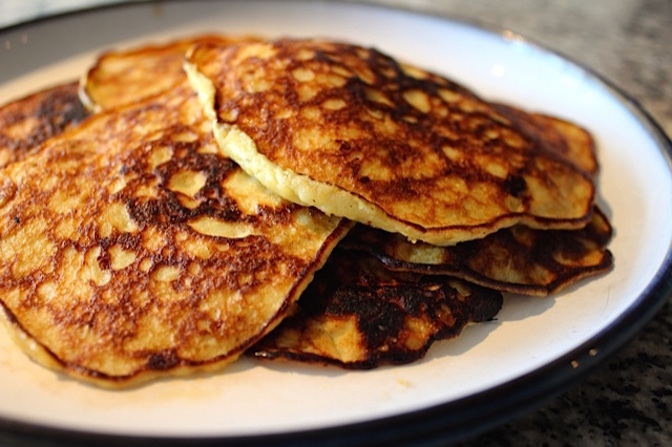 With this modified version of the classic American pancake, I actually can. All it takes is two eggs and a banana. Cheap, healthy, and delicious. If you’re a sucker for a chocolate shake, check out this chocolate smoothie instead. It’s packed with protein and other nutrients that you won’t find in your Dairy Queen milkshake. 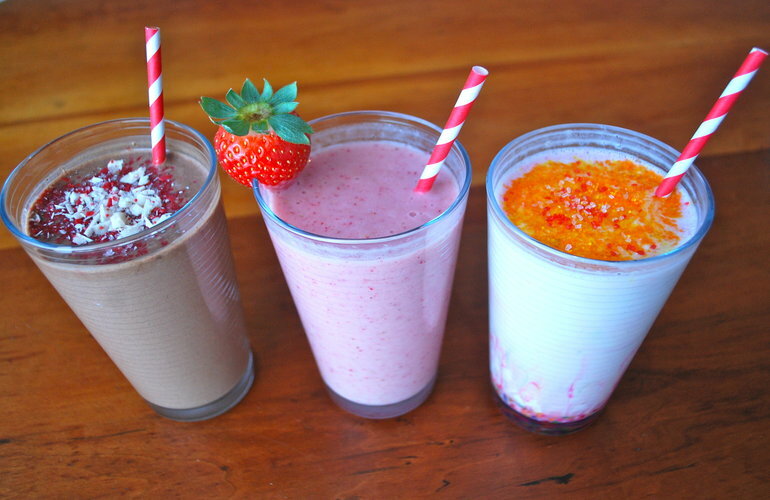 If you’re not feeling the chocolate, try these skinny milkshakes. There’s even a vanilla and a strawberry option (Neapolitan, anyone?). 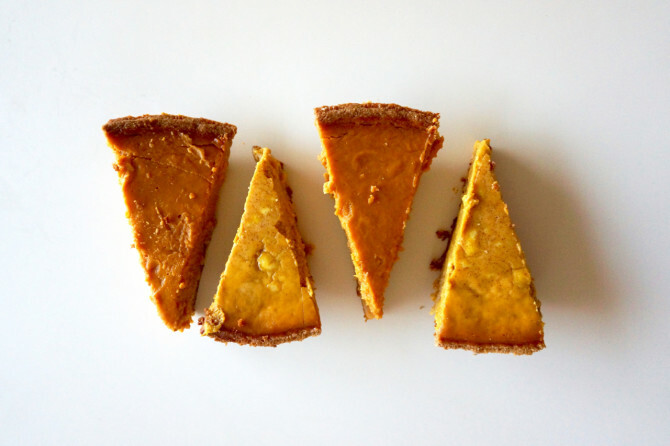 Pumpkin pie isn’t just a holiday treat. If you’re craving this comforting dish, check out this crustless version that uses Truvia as a sweetener instead of brown sugar. The best part? The entire pie is only about 420 calories. Miracles really do happen. The typical college student needs Kraft Dinner like Rose needs Jack. Unfortunately, just like the Titanic, things are eventually bound to crash and burn. 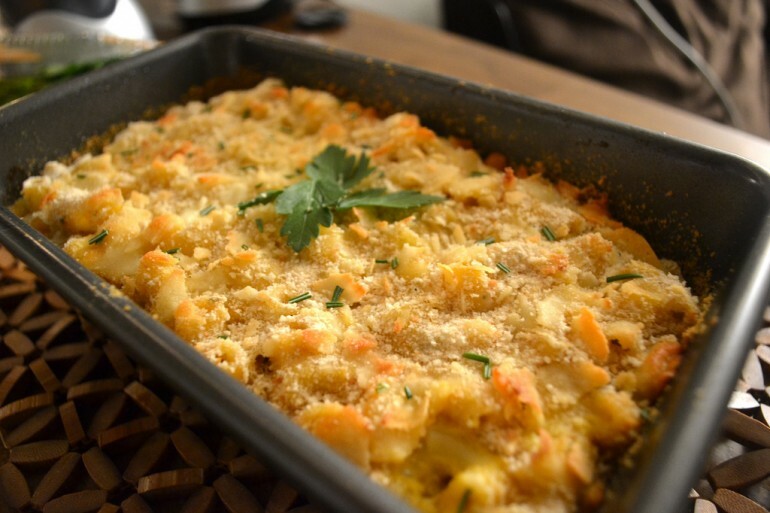 Luckily, this butternut squash macaroni and cheese is made with coconut oil instead of butter. It’s like Kraft’s (slightly better looking) twin. Yes, please. What’s a good burger without a side of fries? 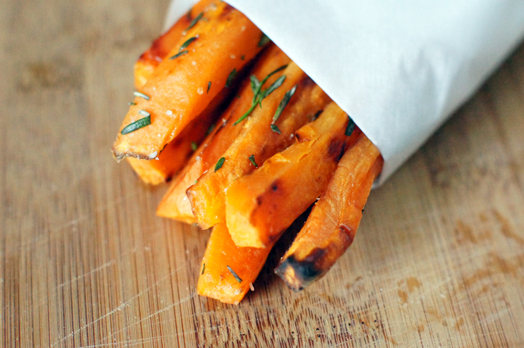 Skip the high calories and fat by opting for these baked, nutritious options instead. Plus, the writer points out which recipe is best for beginners to tackle. We’re forever grateful. While spaghetti isn’t necessarily unhealthy (whole wheat pasta is rich in good things such as fiber), it’s not so great in large amounts. 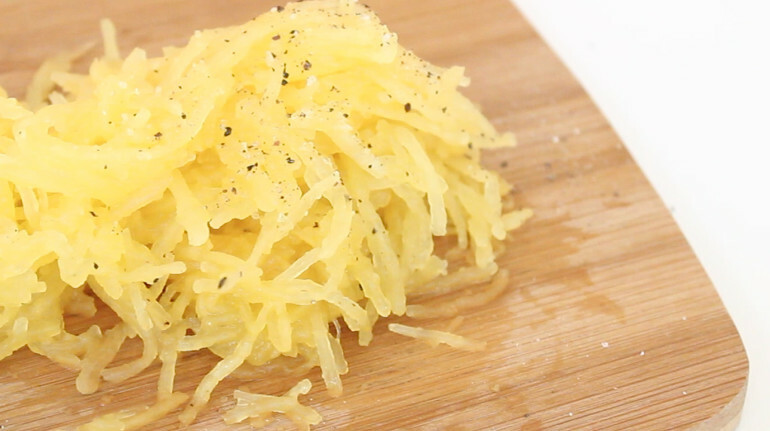 If you’re craving pasta three times a week (or four…or five…), swap out spaghetti some days for this easy spaghetti squash recipe. The selling point? All you need is a microwave. What’s spaghetti without a few meatballs thrown into the mix? 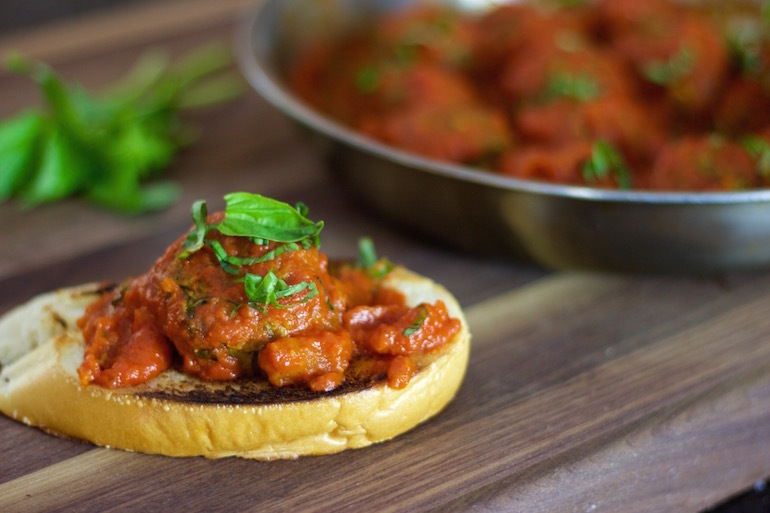 Pull a Meatless Monday and check out this recipe for zucchini meatballs. You can make them in under an hour, which still leaves you enough time to do that economics reading you meant to get around to last week (oops). Total score. Is there anything better on a hot July day than eating ice cream in your backyard? 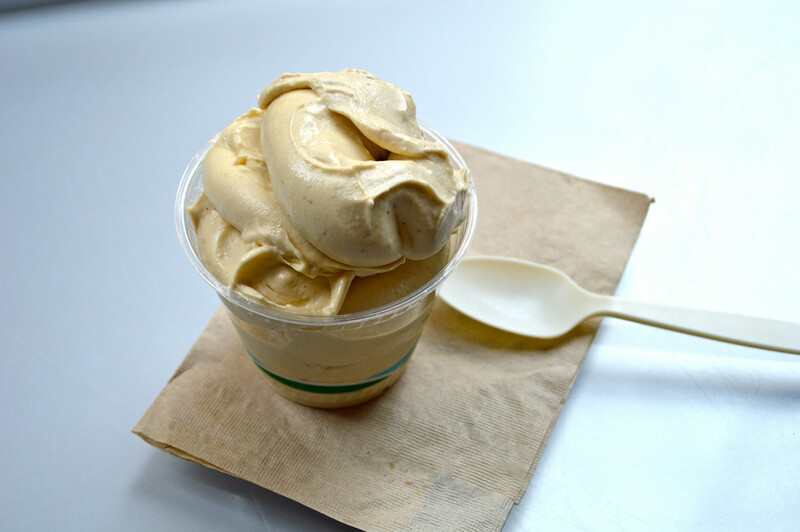 For a guilt-free version of this sweet treat, check out this vegan banana whip recipe. More of a chocolate person? You’re in luck. There’s a banana chocolate ice cream recipe too. Just like every other typical college student, I’m a pizza addict. But there’s only so many times a week that I can phone up Domino’s pizza before the franchise recognizes my voice when I call. 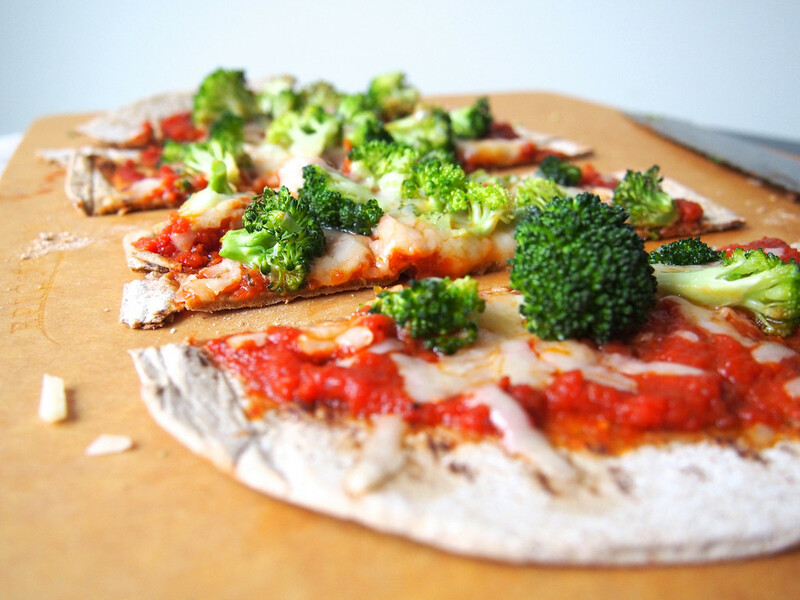 If you’re in a similar situation, check out this cauliflower crust pizza. It’s like eating a salad in pizza form. It’s three in the morning and you’re struggling to churn out the last paragraph on your history essay that’s due tomorrow. Your stomach rumbles. You open a bag of chips, reaching in for a handful, and suddenly the entire bag is gone. Don’t worry; we’ve all been there. 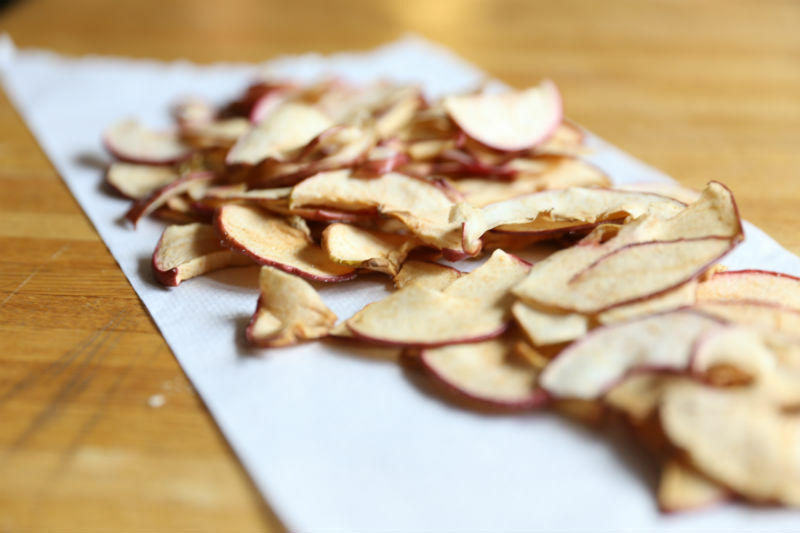 Next time, snack guilt-free on some of these apple chips instead. Not a fan of apples? Check out this recipe for baked banana chips. If you love nachos (and who doesn’t? 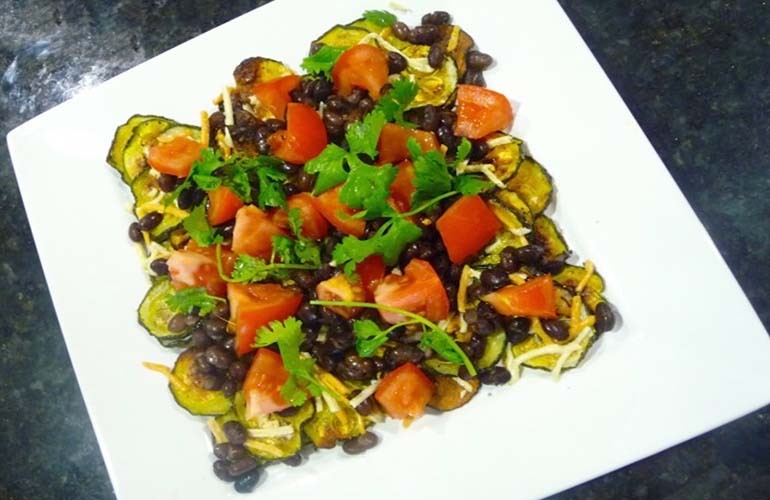 ), try this healthier version with black beans and tomatoes. It has the same satisfying taste as regular nachos, but without the extra fat and grease. Guilt-free snacking? Absolutely.